A Sudanese Muslim refugee was shot after attacking a woman and a cop with a wooden walking stick in Washington last Wednesday. Despite the incident being caught on video, the media has largely ignored the story. I wonder if that has anything to do with it fitting perfectly into Donald Trump's narrative about the need to vet these supposed "refugees"? I wonder if it has anything to do with the fact Hillary Clinton comically insists these refugees are harmless and we need to bring in tens of thousands more than even Obama would agree to? The man shot and killed by a police officer Wednesday in Kelso has been identified as a 27-year-old homeless man who has connections to Spokane. A Kelso police officer fatally shot Omer Ismail Ali after Ali allegedly attacked a gas station clerk, customer and the officer with a walking stick, the Cowlitz County Sheriff's Office said in a news release. Ali died of a gunshot wound to the chest, according to the results of an autopsy performed Friday. Ali, who immigrated to the U.S. from Sudan as a refugee in 2013, also suffered a "gunshot wound of the jaw and neck," deputies said. Ali tried to shoplift from a Flying K gas station food mart in West Kelso shortly after 8 a.m., deputies said. 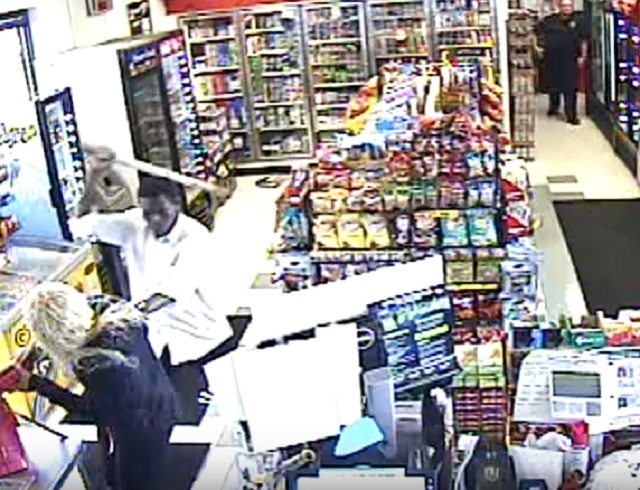 They said the store's clerks told him to leave, and he threatened them and walked away. The Kelso officer, John Johnston, arrived shortly thereafter to take a report. [...]The encounter was Ali's second at the Flying K that morning, deputies said. They said he showed up at the store around 1:10 a.m., toting a flat board, and was told to leave by police and employees. Police took the board. Police also contacted him twice between the Flying K altercations, deputies said. They said officers had contacted Ali or received reports about him multiple times since Saturday. Ali was arrested Saturday in Cougar, Washington, for allegedly driving with a suspended license, deputies said. They said the car, a rental, had been stolen in Washington's Whatcom County. Why was this guy roaming the streets after getting caught driving a stolen car? Oh, that's right, it's because the left has placed these "refugees" above the law and deems the crimes they commit acts of "cultural enrichment." 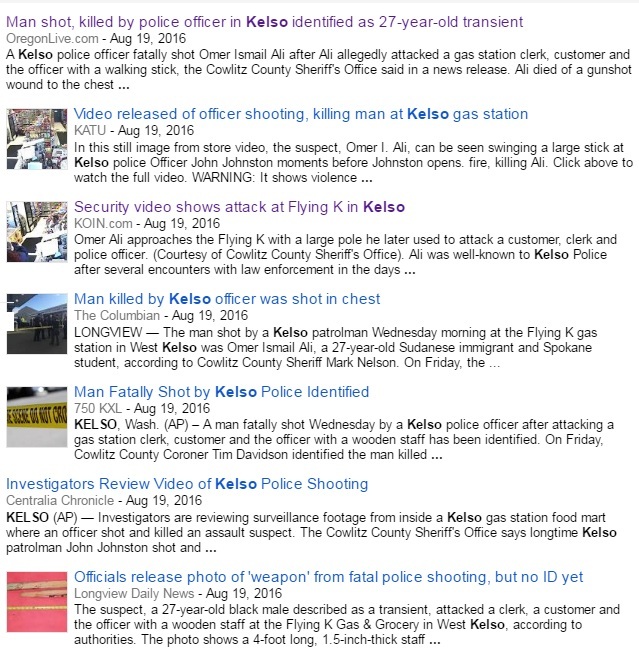 A search of Google News shows the few media outlets which reported on the incident ignored the fact he was a "refugee" in their headlines. Fact is, this is exactly what Trump has been warning about. These phony "refugees" have hugely disproportionate crime rates and terrorize the neighborhoods they're dropped into. 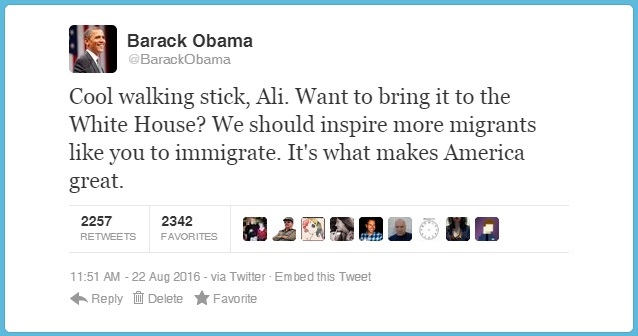 While Americans are suffering and in desperate need of help from the government their parents paid into for generations, political hacks like Hillary Clinton and Paul Ryan would prefer to spend their tax dollars on "refugees" like "Ali" imported just years ago from the Sudan.